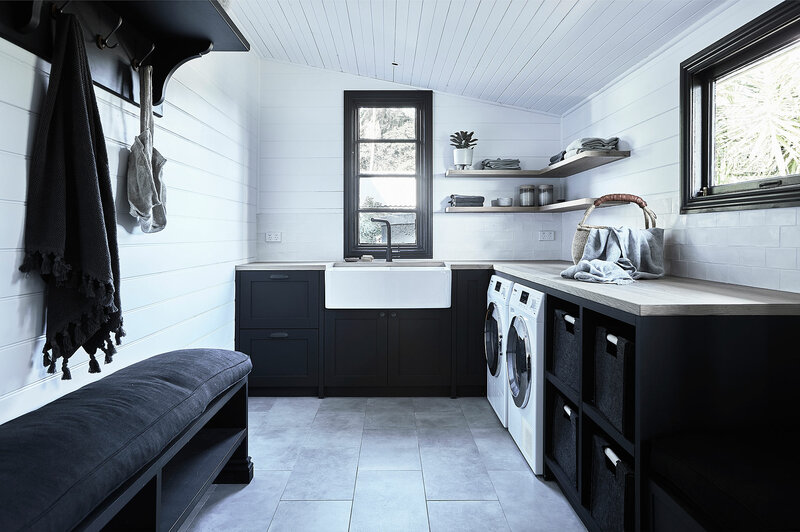 When it comes to fixtures, the home’s stylist and builder chose to fit Benny’s Cottage with the highest of the high end, while seeking to retain much of the property’s original charm. Oak soaped floorboards grace the hallways, bedrooms and living areas, while a tranquil design and large windows create a bright and inviting atmosphere. 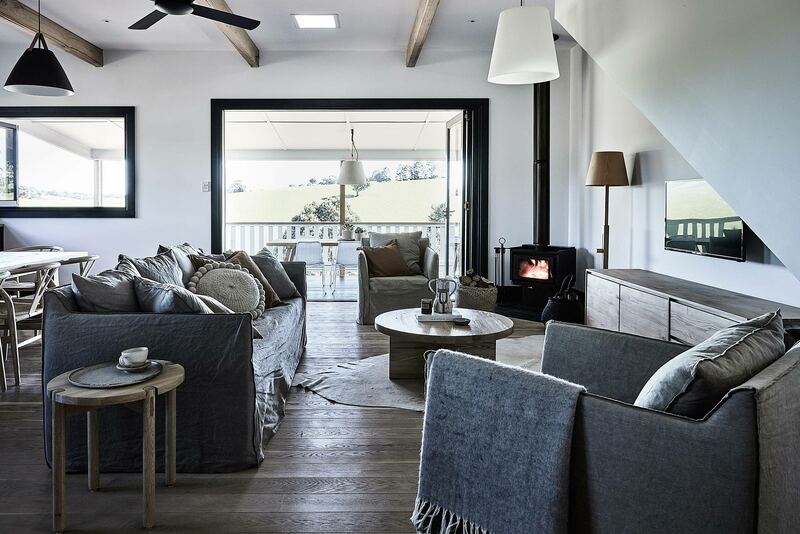 Snuggle up in front of the wood burning fireplace, switch on the Smart TV to catch up on your Netflix queue, or open up the large glass doors to extend your living space and let in a fresh, hinterland breeze. 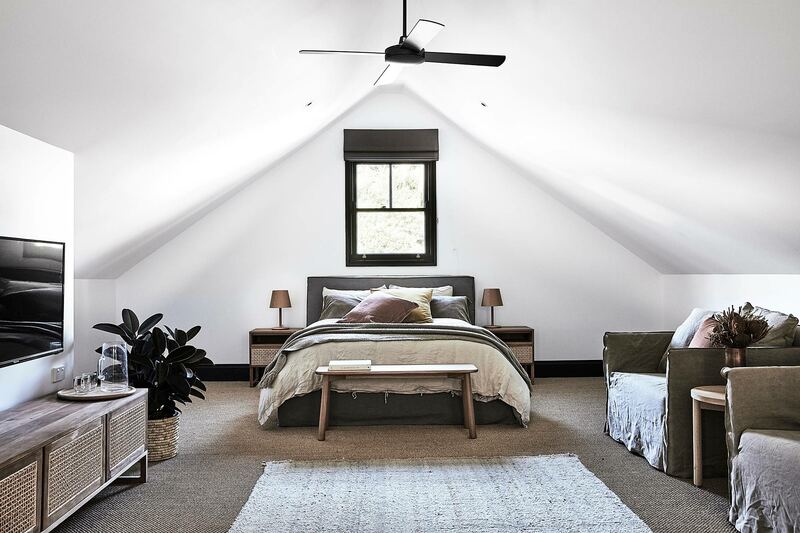 Upstairs, escape to the loft area with extra lounge space for seclusion and privacy. 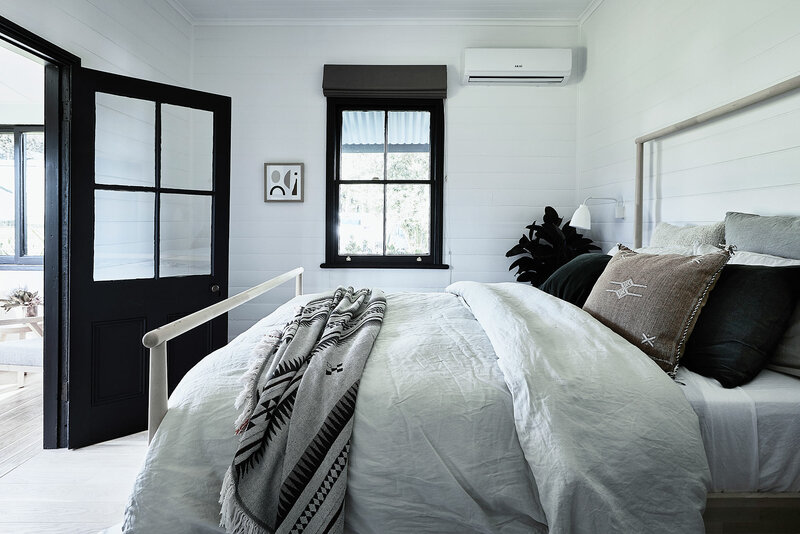 The entire cottage is equipped with reverse cycle air conditioning, so you’ll be comfortable whether you visit in the summer or winter months. 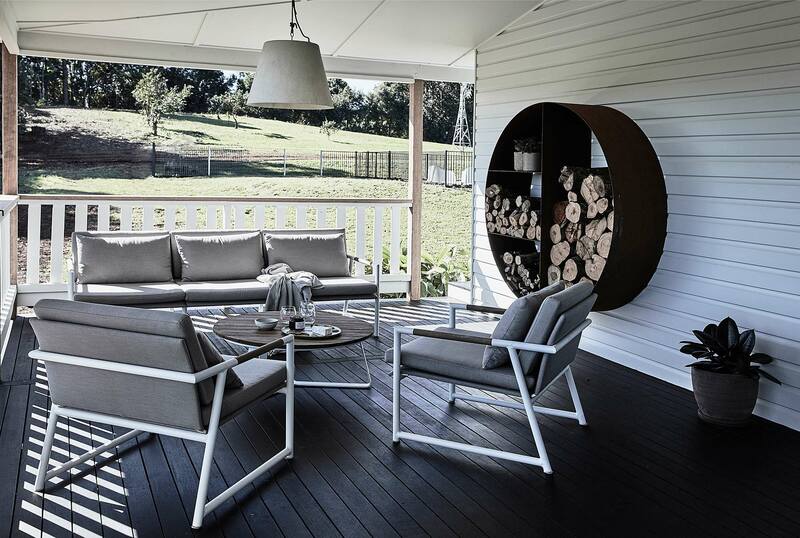 There’s no need to worry about bugs thanks to fly screens between indoor and outdoor areas. 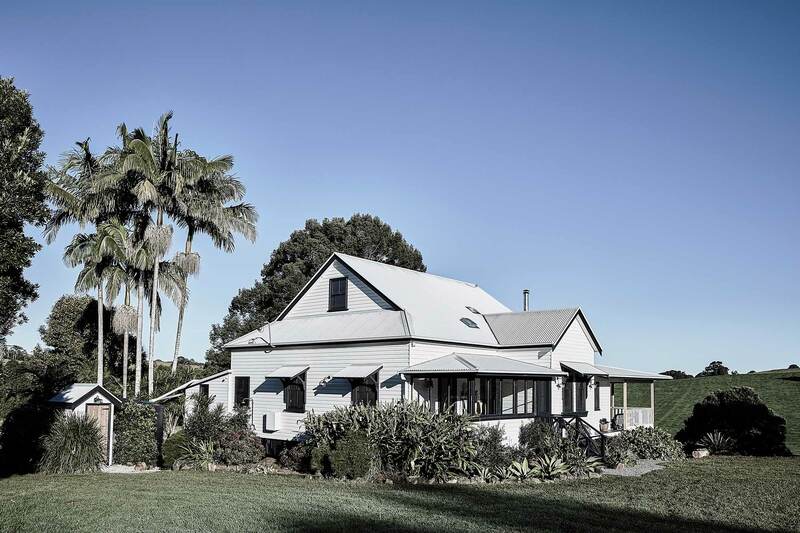 One of the outstanding features of this property is the large, open concept chefs kitchen. 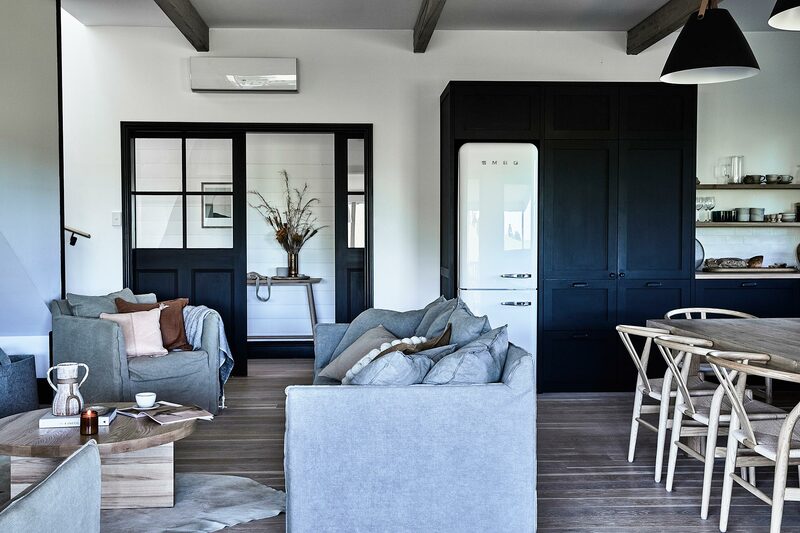 The kitchen is well stocked with high-end, style-conscious appliances including full-sized Smeg refrigerator, spacious dishwasher, butler sink, and the showpiece: a freestanding, Falcon double oven. There is even a complete set of global knives for your convenience. Open to the living space with a large, custom wood dining table and chairs, this kitchen is truly the heart and gathering space of Benny’s Cottage. 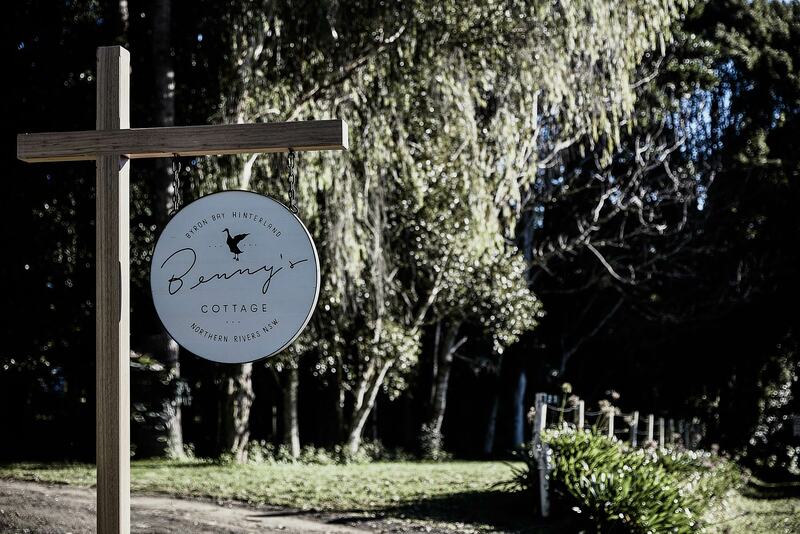 The 4 bedrooms at Benny’s Cottage are located across both floors, offering both flexibility and unique character. 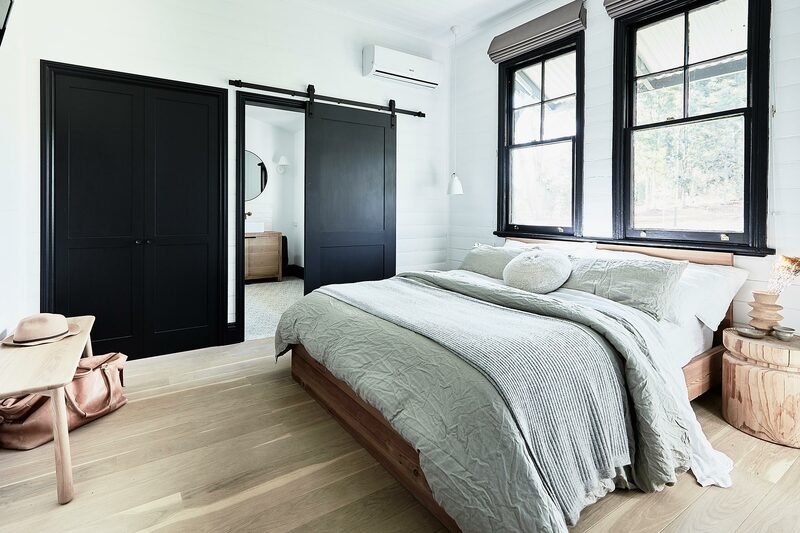 Downstairs, the first bedroom has a queen bed and a beautiful, farmhouse-style sliding door leading to its own ensuite with shower. A second queen bedroom has its own sunroom, while a third offers two king-single beds. Upstairs, a spacious loft room with an additional lounge area is ideal for a family with two children, offering one queen bed and two king single beds which are easily joined to create a king. 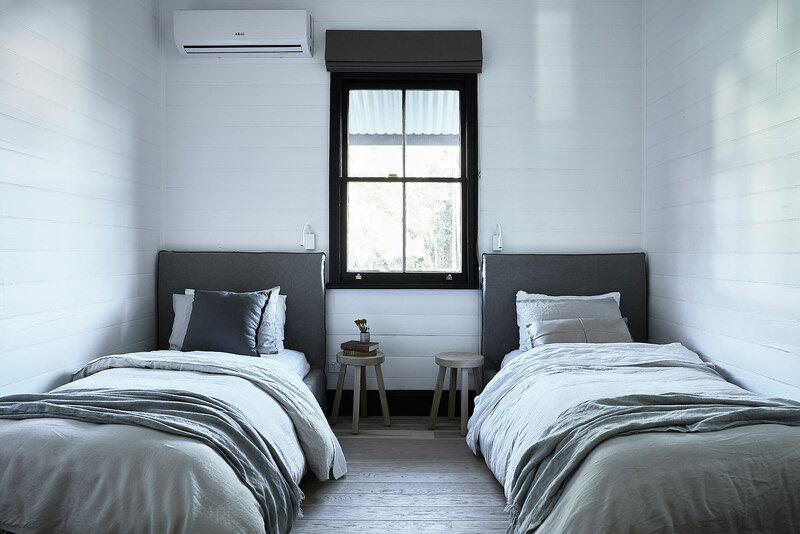 Each bedroom is equipped with reverse-cycle air conditioning and a ceiling fan, as well as a Smart TV with Netflix. 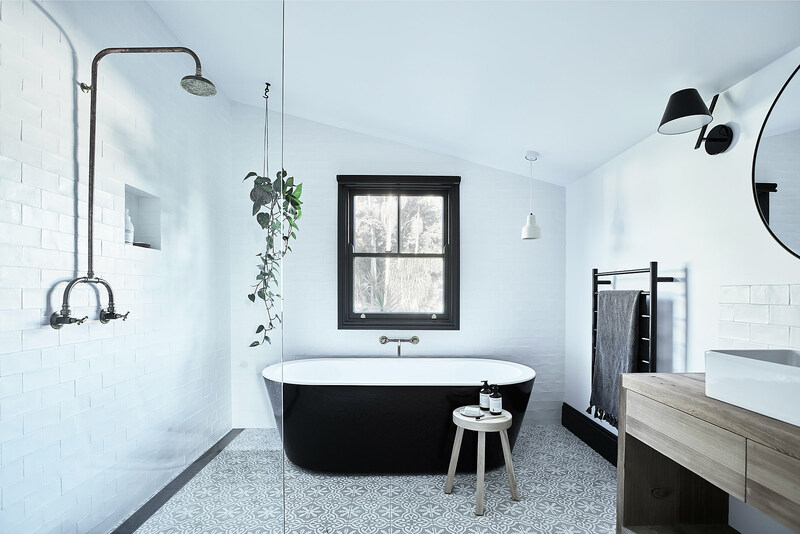 Stepping into any of the cottage’s 3 bathrooms, you’ll love the heated floors made from locally sourced, encaustic tiles by Jatana Design. 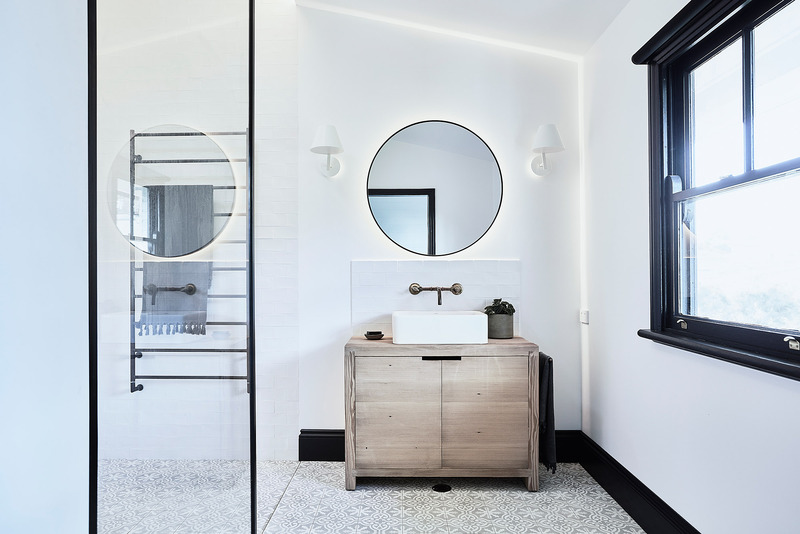 The design is light and spa-like with crisp, white subway tiles, custom wood vanities, and dramatic, black fixtures that pop. 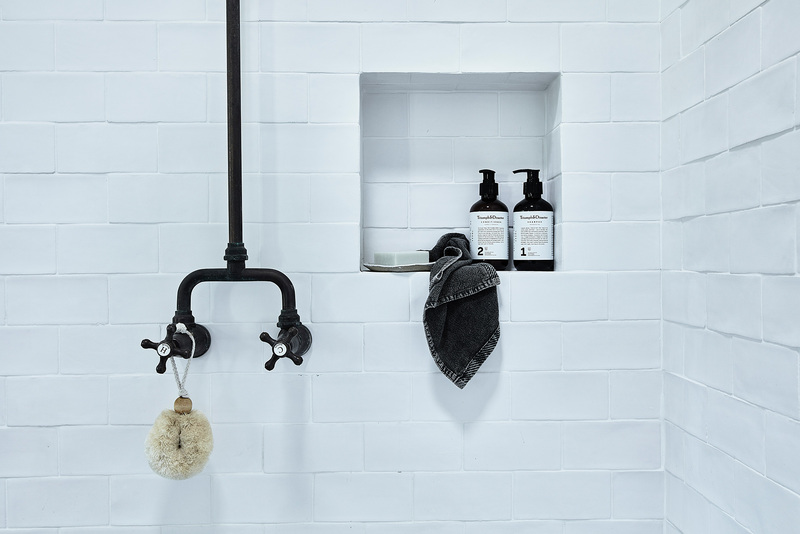 Heated towel bars add another layer of indulgence, while the second shared bathroom offers a stunning, freestanding bathtub, perfect for an indulgent soak after a busy day of country living. There is also a hot/cold shower outside, by the swimming pool. 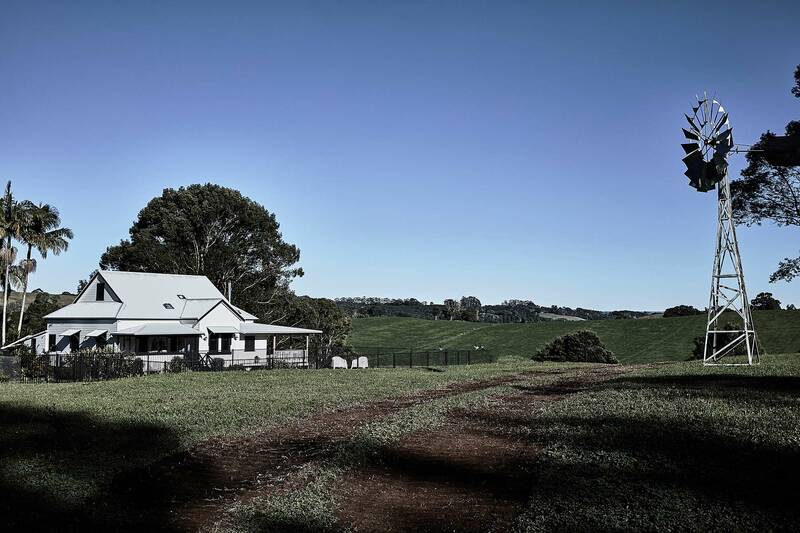 Benny’s Cottage sits upon a delectable, 5-acre slice of hilly hinterland paradise. 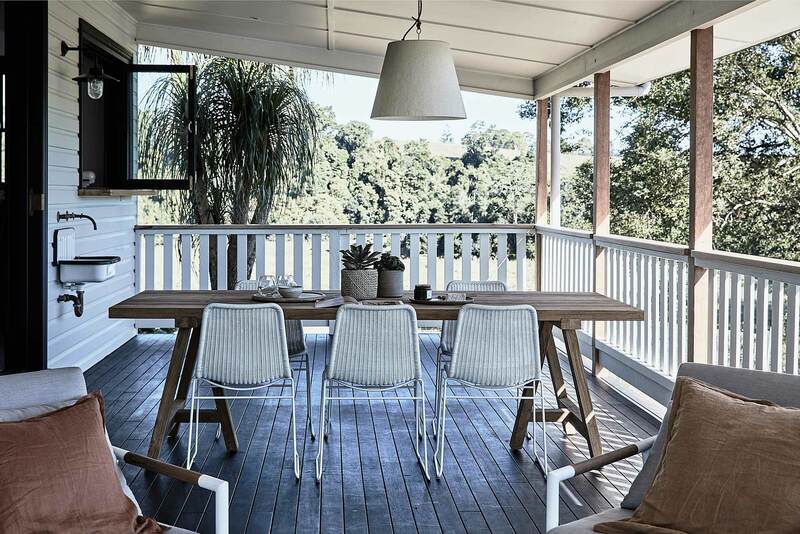 From the covered verandah, look down upon the cleared valley and listen to the peaceful sounds of the creek babbling past below and local birds singing their cheerful song. 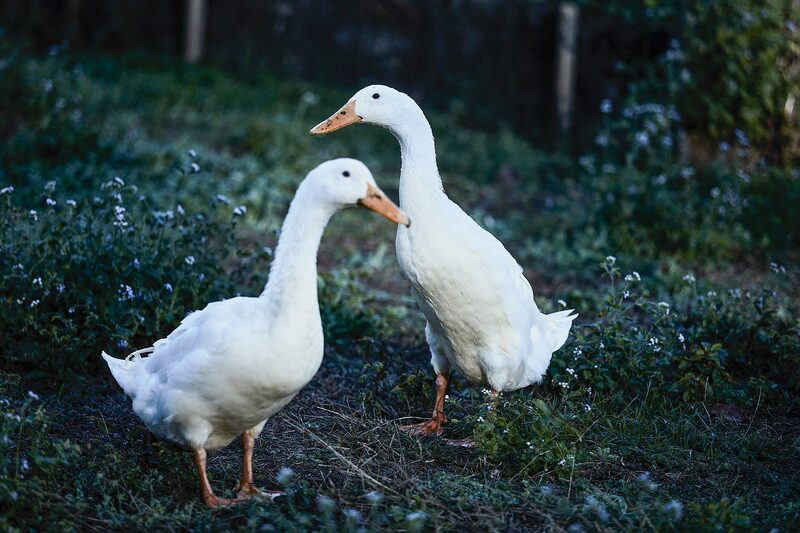 Enjoy watching cows happily munching on grass on the nearby paddocks or the property’s friendly ducks waddling past. 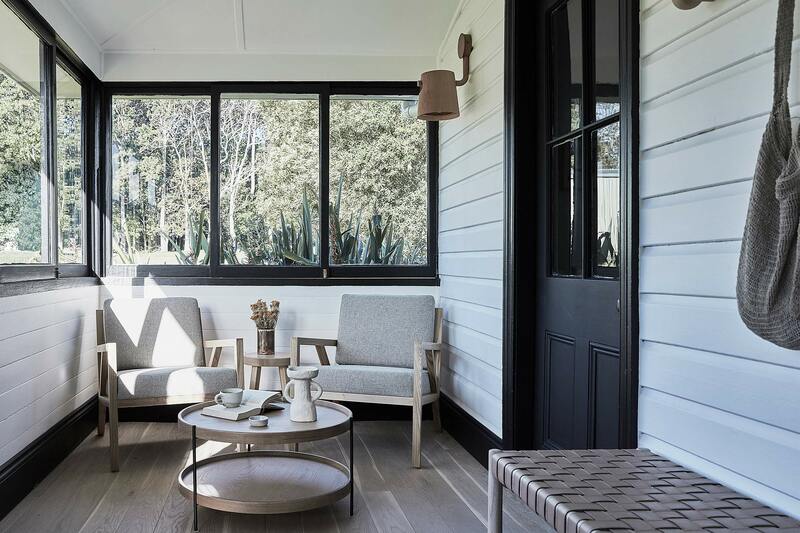 Multiple outdoor spaces have been created for lounging and entertaining, including a large living space with a custom timber wood wall feature, an outdoor sink, and a dining table ready to serve your finest alfresco dinner. Fire up the gas barbecue and cook up something special while others take a dip in the spectacular, 12-metre saltwater swimming pool. 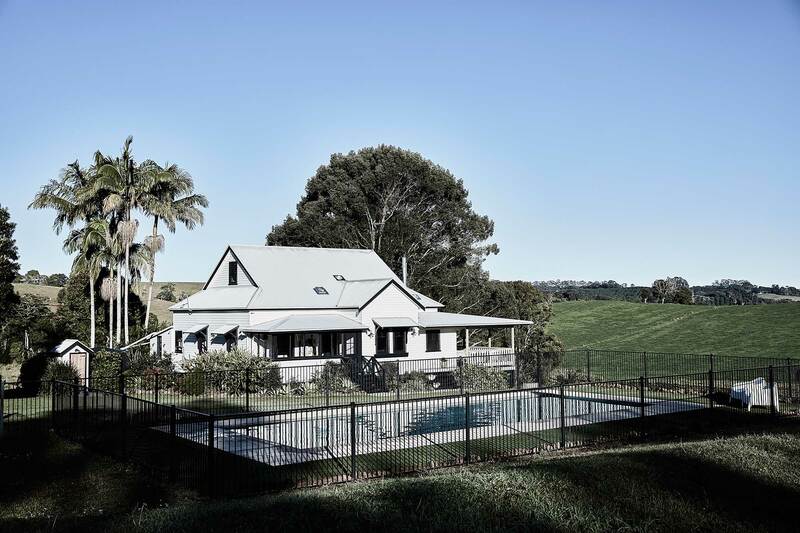 With seemingly endless views of the immaculate hinterland hills, this is truly country living at its most luxurious. There is space for 2 cars to park off street. 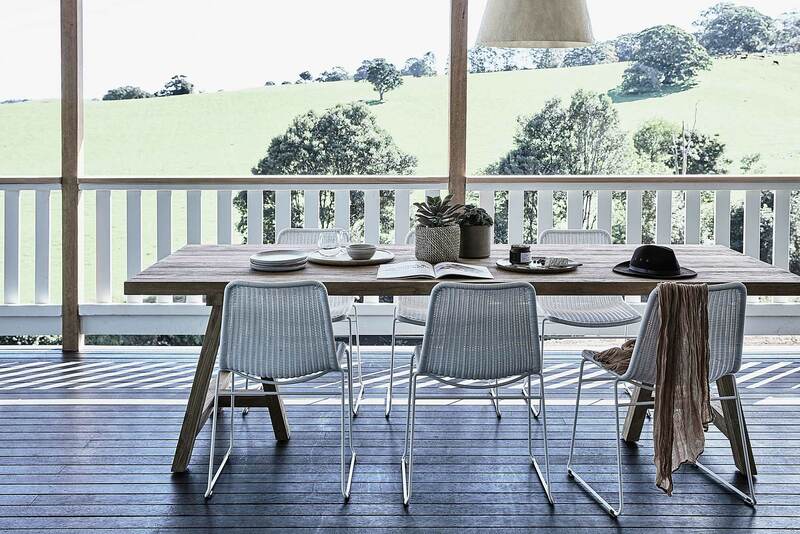 Intimate events, photo/video shoots may be arranged directly with A Perfect StayByron Bay Holiday Rentals. Additional fees and T&C’s apply.